Jesus’ closest disciples should have already known this particular truth. They had held the proof of it in their hands. Their Lord, the one we love and call Jesus, already had shown great power in small things, small ones, and small faith. Do you remember the small boy with the small picnic lunch of five loaves and two small fish? Do you remember how each of the apostles held the miracle of leftovers in their hands? The feeding of the five thousand had demonstrated the power of small when placed in the hands of Jesus (Mark 6:35-44; cf. Matthew 15:34). Do you recall Jesus’ parables of growth and the mysterious power of seeds? Do you remember Jesus’ parable about the mustard seed, that very tiny seed that grows into something substantial? A little faith, a faith as small as a mustard seed, had incredible power when that faith was directed toward Jesus (Mark 4:30-31; cf. Matthew 17:20). Jesus’ followers should have known him best, but they did not understand him. They had refused to see Jesus’ principle hidden in the mustard seed. 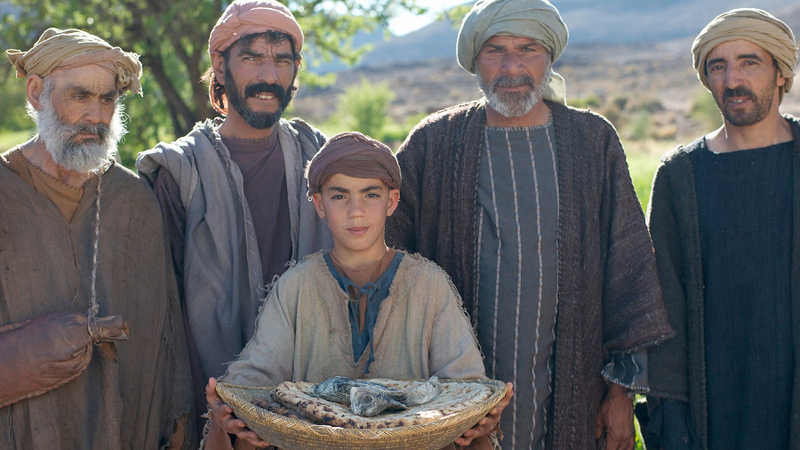 They couldn’t grasp that a few loaves and fishes, when shared with Jesus, could feed a multitude. They wouldn’t believe that twelve disciples who had surrendered their will to the Lord could do great things if they were willing to follow him on his way to the cross. They could not understand. Maybe... they chose not to understand. When we read the central discipleship section of Mark’s gospel (Mark 8:22-10:52), Jesus’ disciples were clueless. Even worse, they were unwilling to accept that the role of exaltation for Jesus and his followers involved the cross of Golgotha! You can call them idiots, hard-hearted, ignorant, clueless, or whatever adjective you want. Bottom line, these apostles were loose lug nuts. [NOTE] They were not only noisy, but they were also dangerous. Jesus had known that his apostles soon would be painfully extruded through the battering stress of his crucifixion and their faithlessness to him. The Lord had seen that their confusion would tear them apart and that they would have shattered their faith on their deep disappointment — disappointment in his cross, at their failure, and with the seeming senselessness of it all. Jesus had called these men to a dangerous essential mission. To prepare them, he had chosen to endure the heartbreak of their faithlessness and his agony of the cross. He was determined to awaken them to the power of small! 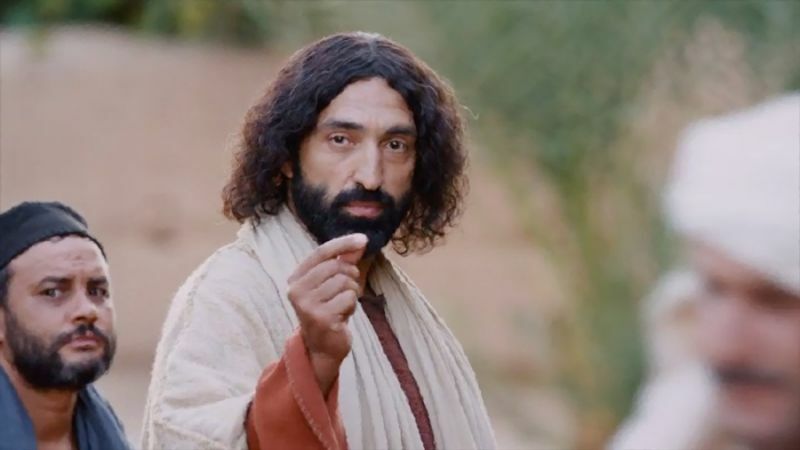 In Mark’s central discipleship section, Jesus had warned his disciples three times that he was going to Jerusalem where he would be rejected, ridiculed, and resurrected. Each of these three times Jesus opened his heart to describe his hard journey, his apostles said something stupid. They displayed their ignorance. They acted insensitively. Peter confessed Jesus as Christ, the Son of God. Jesus said he must suffer, be rejected, killed, and then be raised on the third day. Then, Peter rebuked the Lord for saying that he would die! Jesus was not gentle with his response. He called Peter, Satan, and forcefully told Peter that he had his heart set on the things of mortals and not the will and plan of God (Mark 8:27-8:33). Next, Jesus had withdrawn from the crowds to teach his disciples. He told them that he must go to Jerusalem to be betrayed and killed, then God would raise him three days later. As his disciples had followed him, they had argued about which of them was the greatest among them (Mark 9:30-34). Finally, on their way to Jerusalem, Jesus’ apostles had followed their Master. He had told them that soon, he would be betrayed, tortured, killed, and raised from the dead. James and John, then, cluelessly had asked Jesus to grant them any wish they wanted because they wanted to share in his glory (Mark 10:32-44). Jesus told his closest friends that he was going to be rejected, reviled, and then resurrected in Jerusalem. Three times he had told his disciples that he would be humiliated, beaten, and killed. Astonishingly, these closest friends were little more than loose lug nuts all three times. They had been worried about their importance and wanted to share in Jesus’ glory while he is facing the humiliation, rejection, torture, and death of the cross. Jesus had to go to the cross knowing that those he invested three years of his life to equipping were clueless — even worse than clueless; they were still jockeying for power, position, and prestige. They were clueless about the power of small! 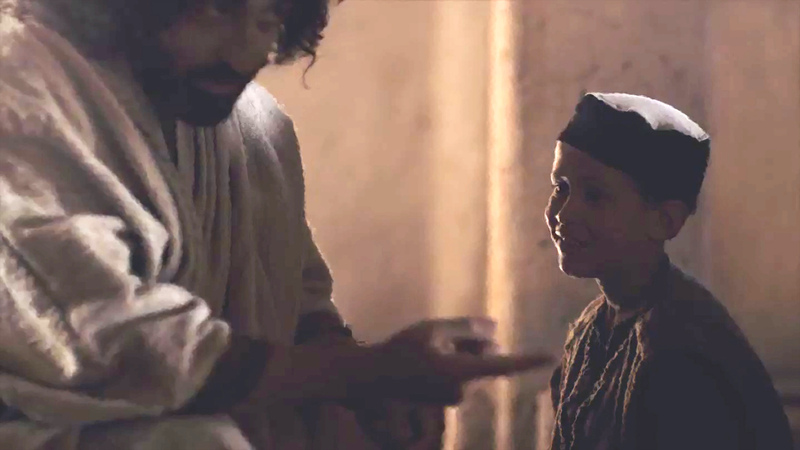 Jesus had healed a boy whom they couldn’t heal. He had demonstrated the power of faith and prayer. He had exercised his power to drive out a terrorizing spirit that controlled this boy. Why? Because small ones matter to the Lord of all things, all powers, and all places. Jesus believed in the power of small (Mark 9:17-29). Jesus had taken a child into his arms. Then, he had told everyone listening that anyone who wanted to share in his kingdom, his all-powerful rule, must welcome people of little or no status, like the child he held (Mark 9:33-37). After a rich man with great resources turned away from following Jesus because of the cost of discipleship, the Lord’s disciples were astounded when he turned and walked away from Jesus. 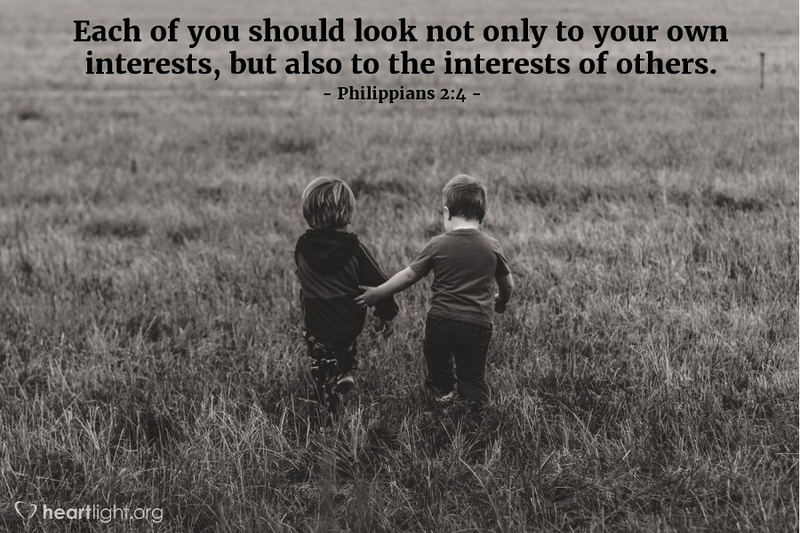 If the rich and powerful wouldn’t follow Jesus, who would?… who could? (Mark 10:35-41). What was Jesus trying to do with his disciples? What was he yearning for them to learn? What should we extract from their experience and the Lord’s words? Will we, will I, follow Jesus in the way of the cross? Will I trust in the power of the small? Will I trust in the power Jesus has hidden in small mustard seeds, small boys, and a few loaves with a few small fish? Will I choose to be willing to be small so that I can serve others in need? Will I be willing to be made small to ransom others from sin, death, and hell? During this crucial time in Jesus' ministry, his closest followers had not chosen to believe that God had chosen to invest himself in the power of the small! When the ten heard about [James and John wanting seats of prestige and honor], they became indignant with [them]. Jesus called [all of] them together and said, "You know that those who are regarded as rulers of the Gentiles lord it over them, and their high officials exercise authority over them. Not so with you. Instead, whoever wants to become great among you must be your servant, and whoever wants to be first must be a slave of all. For even the Son of Man did not come to be served, but to serve, and to give his life as a ransom for many" (Mark 10:41-45). They were not only noisy, but they were also dangerous. Peter had it in him even though he hadn’t grasped it yet. Most of the other apostles would come to recognize the truth, later. Most of all, for those who believe in the power of small, Jesus made a great promise. [NOTE] I love the term loose lug nuts because of what it represents to those who understand the image. In years gone by, the wheels of cars were held on by lug nuts that were located under hub caps. If several became loose, the tire would wobble and begin to ruin the wheel that held on the tire. If they became loose enough to come off, they made a horrible loud clanging noise and eventually the wheel would become very unstable and even fall off. Loose lug nuts were more than a nuisance; they were also noisy and dangerous. I can’t think of a more apt description of Jesus’ closest disciples in Mark’s discipleship section in Mark chapters 8-10! "Cruciformed #5: The Power of Small" by Phil Ware is licensed under a Creative Commons License. Heartlight encourages you to share this material with others in church bulletins, personal emails, and other non-commercial uses. Please see our Usage Guidelines for more information.